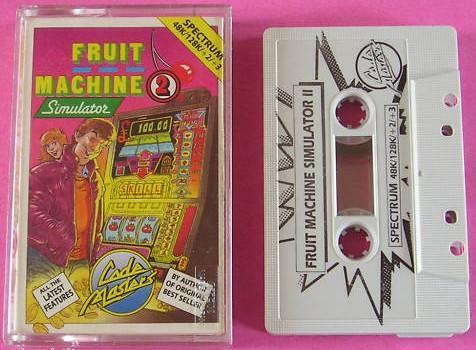 Is there anything more mindless than fruit machines? All those flashing lights, taunting text messages and irritating jingles seem to draw people like magnets in pubs and clubs. On offer is the slight chance to win a small amount of dosh. An amount that will hardly offset the three weeks wages you've pumped into the thing to get this far! So what hope could there be for a computer version that doesn't even allow you the chance to keep your theoretical winnings? 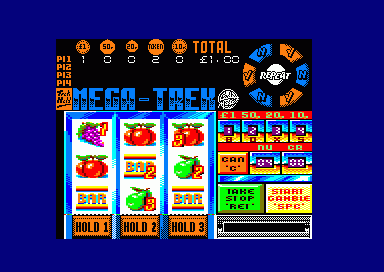 A game whose forerunner scored a mighty 15% in AA337 Surprisingly the outlook is good for Fruit Machine 2 (Son of Fruit Machine's Revenge). As much as you may loathe the concept, just play this simple little number once and you won't leave you machine for hours. The game's very simple. 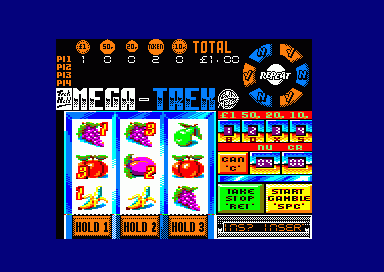 You have a couple of 10p coins burning a hole in your pocket with which to gamble, You are presented with a three-reel fruit machine which boasts every feature under the sun and you just have to spin and nudge. 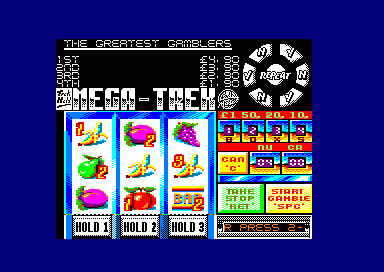 Sub-games litter the place, all with their own blend of skill and luck, most concentrating on the press of single button. The more money you win, the longer your game, the greater your fame in the world of the one-arm bandits. 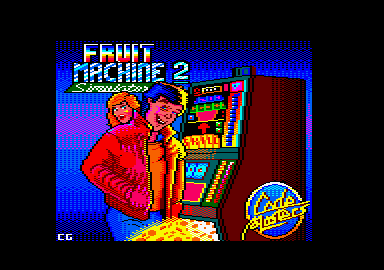 Fruit Machine 2 looks good and plays well, if a little slowly. The reels have a neat 'sprung' look to them and the choice of the base colours is suitably garish. FM2 wins you over with the same siren song that its real-life counterparts employ. It creates an illusion that there's skill involved in this game of chance, and that's fatal. Time and time again you'll find yourself called back to the game, certain that now you know the secret, now you'll win. 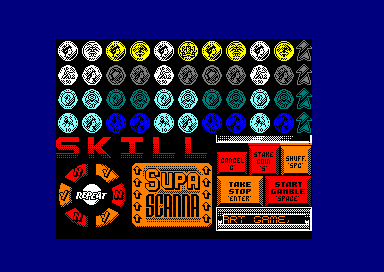 And of course, as in the real world, only the coin box ever comes out ahead! But if you've a failing for these fiendish devices then, £2.99 a small price to pay to feed the habit!